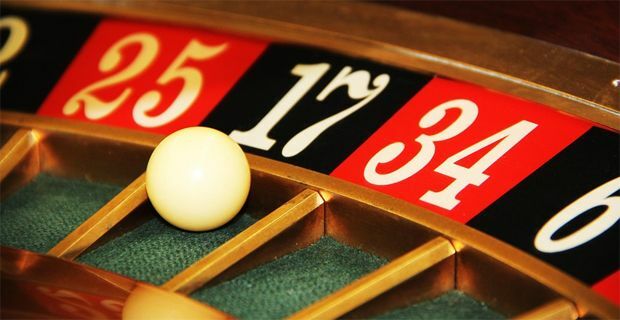 You win some, you lose some shouldn’t be your motto when you play roulette online. That’s not the right attitude to take. If you approach the game with a winner’s mentality, you might have a little more luck which will build your confidence and cement a winner’s mentality. But having the right mindset isn’t enough when it comes to online games like roulette. You’ve got to know what you’re doing if you want sustained success. Some players make a living out of their online casino games so even if you can make a fraction of a pro’s wage, you’ll be laughing. Whether you choose to put your money on black or red, or if you decide to go for odds or evens, the house will win more often than you do. We’re not going to make any suggestions on where you place your bets. Instead, we’ll concentrate on how you approach the game and how you bet. Have you heard of the Martingale method? This is a betting system in which you double your bet after each loss. That means that if you lose £5, your next bet would be £10 and so on. The problem is that if you hit a losing streak, the bet rises rapidly (£5, £10, £20, £40, £80, £160) but if you win quickly enough you cover your loses and bet as you please until you lose again. This system is known to work but be sure to get out if your losing streak becomes unbearable. For this system you have to put down five numbers that represent bets you will make. So let’s say you put down, £10, £20, £30, £40, £50. To place your first bet you have to add the value of the lowest and highest amounts and use that as your stake. In this example, we’d be betting £60. Every time you lose, you add the losing bet amount to the end of the chain. Your next bet will, therefore, be the lowest stake (£10 in our example) and the amount you just lost (£60). In our example, the bet would be £70. If you win, you’re ahead by £10 and the lowest and highest numbers are taken off the list. Eventually, the numbers on your list will be used up if you keep on winning and you’ll have to create a new set of numbers. The Fibonacci system is another betting method you can use. The bets in this system are as follows: 1, 1, 2, 3, 5, 8, 13, 21, 34, 55, 89, 144. The numbers can go on forever. The mathematical pattern that creates these numbers might be clear to you already. Each number in the sequence is created by adding the previous two numbers together so it begins 1 + 1 = 2, then 1 + 2 = 3, and so on. Anyway, the point here is that if you lose, you bet more and more each time in the belief that you’ll eventually win and cover your loses. This is the opposite of the other systems featured here because it asks players to increase their bets when they win rather than when they lose. The system is designed to take advantage of a winning streak. If you win a £10 bet, you then bet £20 on the next game. The chaos theory is a bit nuts really because it’s a method that tells the player to go with their gut and not rely on any method whatsoever. Jump into the game and throw your money around as you feel. This is a real heart over head way of playing that’s exciting and uncontrolled but works for some players who would rather enjoy the moment and go with the feeling rather than rely on a system. If you want to play carefree but also be sensible, why not search the web for a bonus that will accelerate your winnings? Welcome bonuses and first deposit bonuses can make a major difference to your winnings and allow you to enjoy carefree gaming.